The Gite d'Etape man at St Maurice de Rotherens was a very nice, and having been shown his underground discotechque last night I was invited, just before I left this morning, into his underground chapel. He invited me to light a candle for my family which I did. There is a lot of family goings on at the moment so I for one am not going to tempt fate. 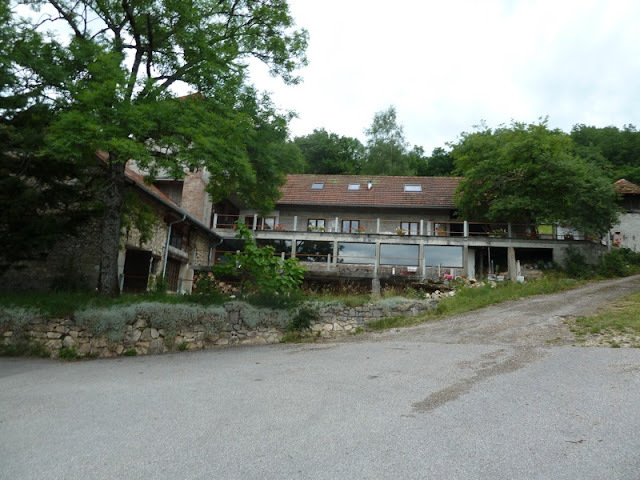 The picture below shows the Gite d'Etape, definitely a work in progress. 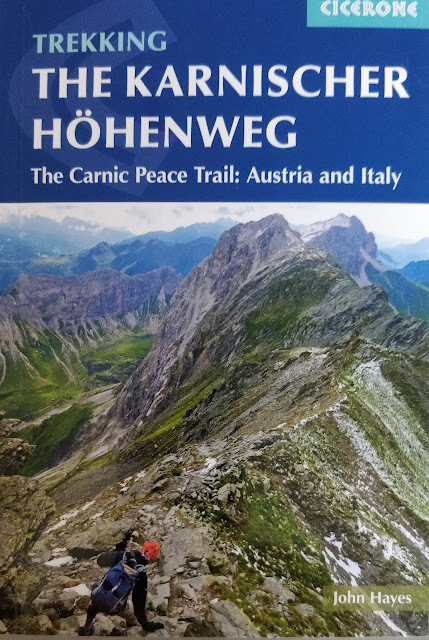 A big walk today, 36 kilometres and 800 metres of climb, and very varied both in terms of landscape and weather. Left at 7.30 and arrived in Culoz just after 6. Not sure when but at some point I have joined another spur of the St James Way. 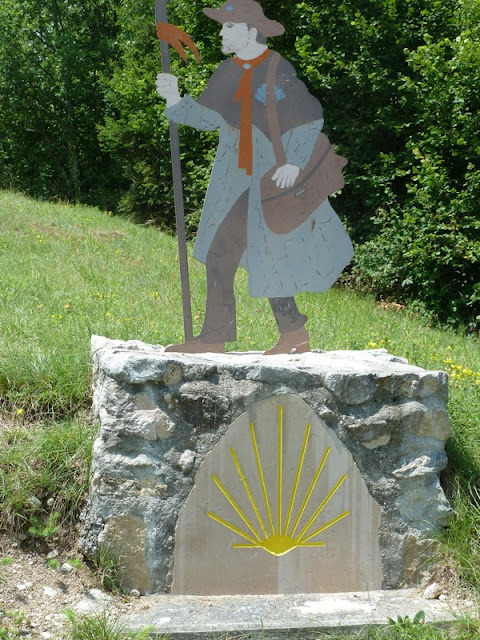 All the signs had then St James trade mark, the scallop shell, and lots of walkers were travelling with a shell attached to their bag. They were all going in the opposite direction to me which I guess makes sense. For the first part of the walk I continued along the same ridge I finished yesterday's walk on. Even early on it was hot and humid and after about a hour it started to rain. By mid morning it had stopped but was now more humid than ever. 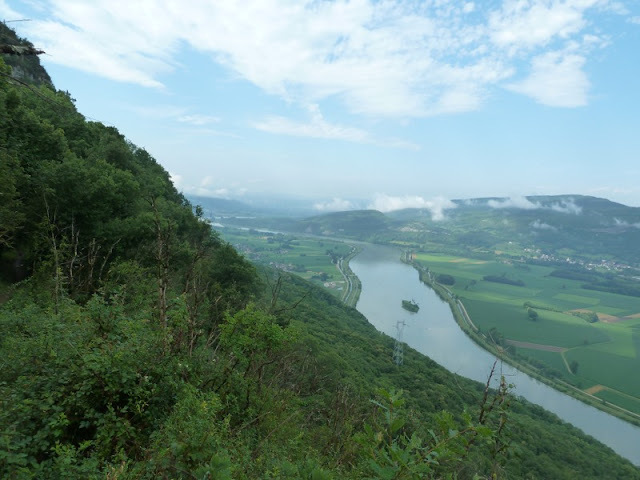 Was walking through trees but eventually got some views of the River Rhone which was now right against the ridge. After about 5 hours I arrived at Yenne which looked like a nice place with plenty of accommodation and, if you were on a leisurely schedule would be a good place to stop. 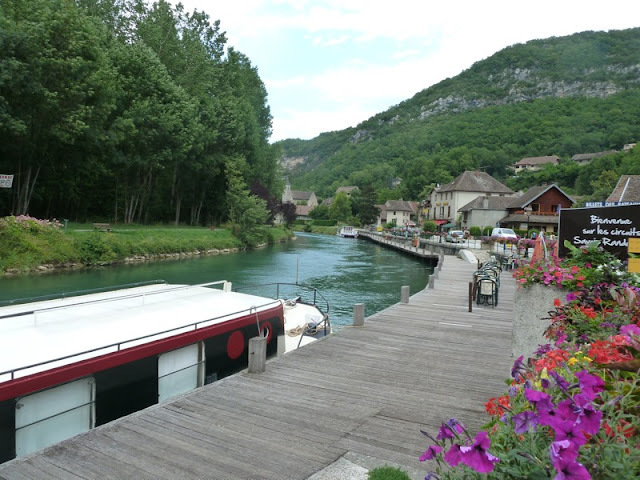 Instead I carried on for a while walking along the banks of the Rhone itself before heading across the flood plain to steep ridge which the route just had to climb over. It was then into vine alley, quite pretty actually, before arriving at another picture postcard town Chanoz. 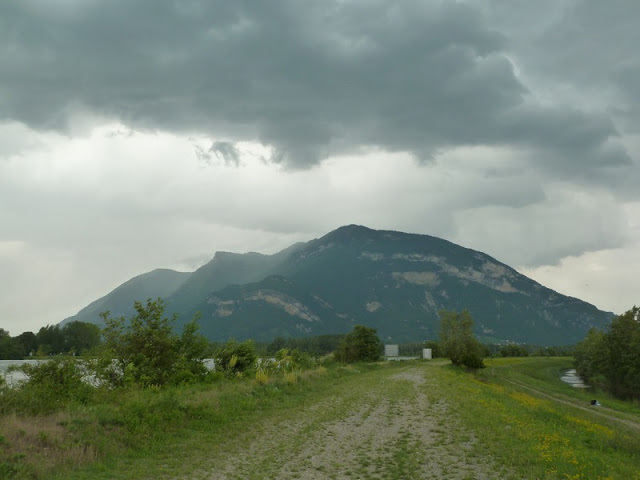 Was soon walking along the banks of the Rhone again and the weather started to deteriorate. 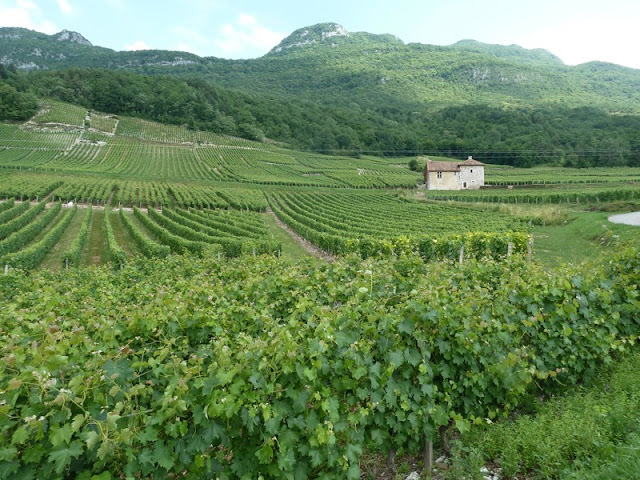 The reason my schedule is taking me to Culoz, rather than stopping at Yenne or Chanoz, is that the next stage involves climbing up the le Grand Columbier, which is a big climb with a shortage of accommodation. It seemed to attracting lots of thunder and lightening, not exactly inviting. 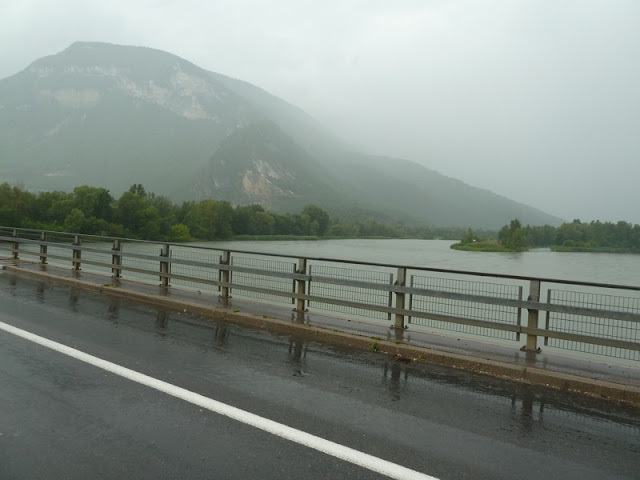 On the way into Culoz I completed my second Rhone crossing although, unlike last time it was now pouring with rain. Struggling to find anywhere to stay tomorrow night and I might just have to stop for a day in Culoz.